There are multiple things of note on the readers section of the Reader Teams area. The top table will show you a summary breakdown of the number of readers on your team, those who awaiting approval, those you declined, those you banned (yes, it happens), those who left the team on their own accord, the number of verified reviews left for your book, and the number of reviews that are awaiting your verification. 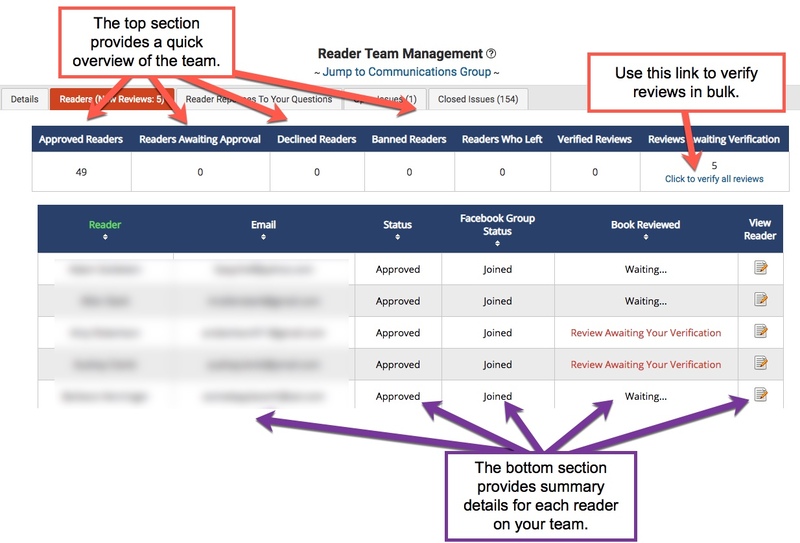 Beneath that you’ll find the list of readers currently on your team, along with basic information about the reader. You can view detailed information on a reader by clicking the icon on the right side of the table. When you click to view a reader, you’ll note that there is a lot of information for you to peruse. 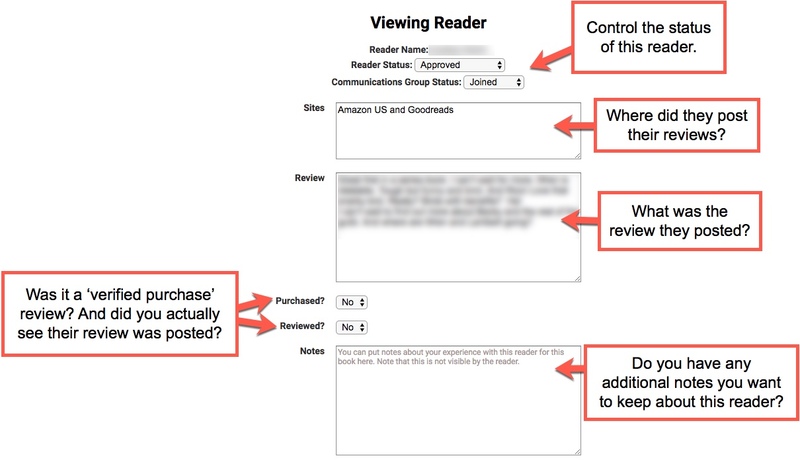 The top section of the view screen will contain the reader’s name, their current status within the team and the communications group (these are items set by you), where they posted their review for the current book, what that review was, whether or not it’s listed as a ‘verified purchase’ review, and any additional notes you may have on the reader. Everything in this section relates to the current book you’re working on. 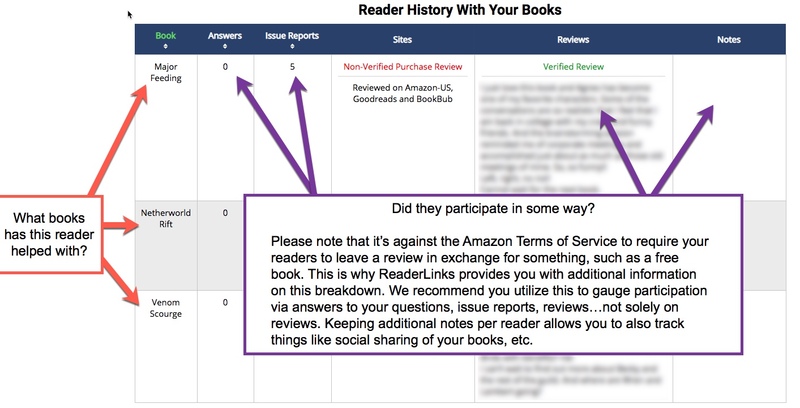 This section shows all the books of yours that this reader has been involved with since you started using Reader Teams with ReaderLinks. In here you’ll be able to keep track of their participation so you can make the appropriate determination to include them in future projects or not. Please read the text on the image for important information regarding reviews.